Why one U.S. Senator reached across the aisle in an effort to make industry payments to countries abroad more open. Former Republican Senator Richard G. Lugar was a fixture of Washington D.C. for more than 36 years – a Senatorial tenure that spanned over six presidencies. Described by President Barack Obama as an internationally renowned statesman, Lugar became best known for his foreign policy clout and bipartisan legislative record, despite his staunchly conservative political leanings. The Rhodes Scholar, Naval officer, former mayor of Indianapolis and six-term Senator ran for the Republican presidential nomination in 1996, and was frequently floated as a potential vice-presidential nominee throughout his time in office. After being defeated by a tea-party challenger during the Republican primary in 2012 he founded The Lugar Center, a non-profit organization dedicated to providing informed debate around global issues. One of his most interesting legislative efforts occurred near the end of his career when he co-authored the bipartisan Cardin-Lugar Amendment to the 2010 Dodd-Frank Wall Street Reform and Consumer Protection Act. It requires all extractive industry companies listed on an American stock exchange to publicly disclose all payments made to governments around the world on a project-by-project basis. Companies that refuse to disclose risk being delisted from individual exchanges. Despite having been passed into law in 2010, Cardin-Lugar has yet to come into force. The D.C. District Court struck down the U.S. Securities and Exchange Commission’s (SEC) regulations in 2013, requiring the SEC to either write a new rule or provide a better justification for the first one. With three new Obama appointments to that court, however, the results are likely to change next time around. 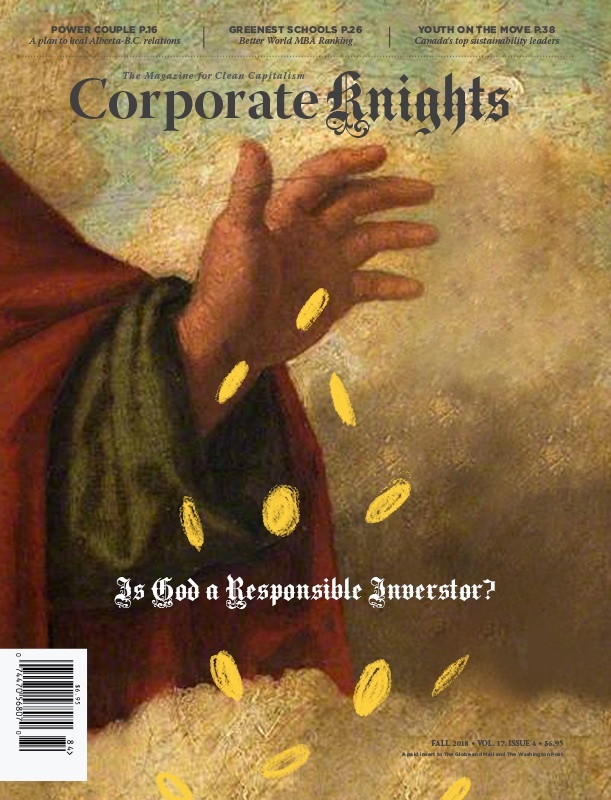 Corporate Knights recently caught up with Senator Lugar to discuss the inception of this bill, its impact on American soft power around the world and why transparency shouldn’t be a partisan issue. CK: How did this amendment ultimately end up in the Dodd-Frank bill? 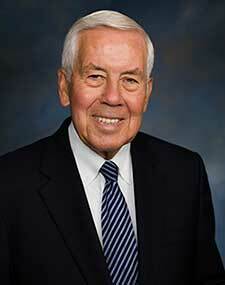 Lugar: I had introduced a stand-alone bill called the Energy Security through Transparency Act in 2009. My interest in this came largely from hearings for the Senate Committee on Foreign Relations during the times that I served as chairman, but I also had the benefit of a remarkable staff member named Neil Brown, who was a Rhodes Scholar. He became an extraordinary person with regards to the research and background for this bill. We were also influenced by visits from luminaries, such as Bono, and people from Oxfam and others who kept stressing the same thing: that huge sums of money were being expended by the extractive industry not only from the United States, but from all over the world. Often the rulers of those countries who were receiving this money were corrupt, not just individuals but large groups of people at the top. At the same time, the average incomes for the people that lived in the countries remained abysmally low, despite all of our foreign aid assistance and other international interventions. The idea of transparency abroad was not a new one, but one that I felt was very important. The Energy Security through Transparency Act did not pass the Senate in 2009, but was still alive when the Dodd-Frank Act came up for debate the following year. Fortunately, Democratic Senators Ben Cardin and Patrick Lahey were both deeply interested in the idea. As a result, Section 1504 of the Dodd Frank act was adopted without having a floor vote and with the assistance of Senator Lahey who added it during a conference by unanimous consent. CK: Why hasn’t the SEC implemented the amendment’s requirements yet? Lugar: Unfortunately, the SEC had its hands full with the numerous regulatory reforms required by Dodd-Frank. Much to our consternation, it took the SEC several years to issue the Cardin-Lugar rules, which they eventually did in 2012. These rules were immediately challenged by the American Petroleum Institute, backed by the United States Chamber of Commerce, and were overturned by the D.C. District Court in 2013. Unfortunately, the SEC has not issued a revised rule, but has said that it will start the renewed process by March 2015. To put greater pressure on the SEC, a few weeks ago Oxfam sued the SEC for not having acted expeditiously. Interestingly enough, Oxfam is a significant shareholder of Chevron, which gave it grounds to sue. Meanwhile, other countries influenced by the debate we were having in the United States have decided to pursue similar legislation. The European Union accounting and transparency directives were passed by the E.U. parliament in 2013, and the United Kingdom has released a strong draft law that is expected to pass. Norway’s parliament in 2013 adopted legislation requiring public level reporting of extractive and forestry sectors. The Mining Association of Canada, representing over 1,200 companies, has called on the Canadian government to require all mining companies listed on Canadian stock exchanges to disclose in a similar manner. So, there has been clear movement on this, even though our own SEC has not come forward with a rule – which they are still mandated to do. CK: How does greater transparency regarding American oil, gas and mining companies affect American soft power around the world? Lugar: Bolstering American soft power is tremendously important. For example, the United States is deeply interested in African countries. A great deal of emphasis last year went into humanitarian work on Ebola and so forth. This serves our own interests, in a way, but it also represents an extraordinary outreach by Americans on humanitarian grounds. In other words, the United States’ influence in so-called underdeveloped countries around the world, many of which have authoritarian rulers, has been profound. Even so, this impact could be greater if we were more often perceived as working for the interests of the population at large. Many governments, particularly in Africa and the Middle East are somewhat supportive of the U.S., and we’re often engaged with these governments in regards to terrorism or political upheaval at home and in the region. As a result, we’re extremely interested in how they wield their own power and financial clout within the country itself. 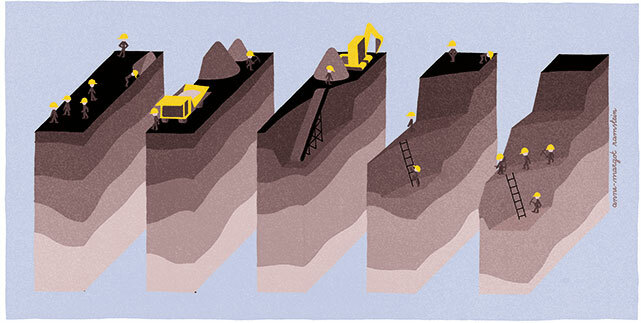 Much of their own financial reserves come from the sale of the extractive industry’s materials, many of which are generated by American companies. Allowing for greater transparency of government finances gives the United States more information about what actions these governments are taking. It’s a similar case regarding foreign humanitarian or development aid. The United States is spending this money, as I said, to wield a certain amount of influence, but also to improve the lives of people in developing countries. More transparency regarding resource payments leads to less corruption in a society at large, and U.S. aid money is more efficiently distributed as a result. The population’s views of the U.S. will itself improve, because American corporations and foreign aid money are no longer seen as largely benefiting a corrupt ruling class, but society at large. This doesn’t necessarily mean that democracy flourishes or that greater accountability springs up overnight. But it’s a beginning at least. Perhaps it’s identified that the ruler has been paid millions of dollars, maybe even banked it away in other countries or pursued various other schemes. This is the reason why I mentioned Bono and Oxfam and people that used to come to see me, because they kept making this point that the actions of the American extractive industry have a direct impact on the perception of the United States in the world. CK: What about the arguments being made by the oil and gas industry: that they will lose their competitive advantage or be overwhelmed by too many disclosure requirements? Is there any weight to those claims? Lugar: There’s no doubt that we could overload corporations with too many disclosure requirements if we’re not careful. But the extractives industry is such an important focal point, with the monies involved there and the influence this money has played. In my mind, there is no question that this should be very high on the priority list. I certainly saw delegations of officials from large oil companies in the U.S. when drafting the original legislation, and they kept trying to make the point that I was going to undercut American competitive advantage abroad. In other words, other countries would not be so forthcoming in terms of transparency and, as a result, would have special advantages with the rulers of the various countries that were involved. Other countries would be able to leverage these advantages, in terms of foreign policy or even security policy, to gain an upper hand. I responded that somebody had to be the leader, somebody really had to be the one to kick off the whole process and that in my judgment this was the role of the United States. CK: It’s fair to describe you as being solidly conservative on economic issues in general. What sort of advice do you have for legislators and civil society actors that are trying to pitch this disclosure argument to a more business friendly audience? Lugar: Well I believe that conservative businessmen – I was the owner of a business manufacturing food machinery in Indianapolis prior to coming over to public life – would say transparency is paramount. It’s important with regards to not only the trust that your customers have, but competitors also understand that you’re not taking advantage of them and the public as a whole. The civic union surrounding you in the city, or the state or so forth relies on your stewardship abilities. When it becomes a worldwide objective, the stakes are obviously much higher when the freedom of people is infringed upon and where potential economic development regarding the lives of millions of people is impinged upon. Transparency really does influence behavior on the ground, and this, I think, has been apparent to humanitarians for a long time. For business interests, this creates a more attractive place to conduct business. Transparency doesn’t have to be a partisan issue. When I was drafting the initial legislation, I attended several Aspen Institute conferences abroad with Senator Cardin, who was a regular at these things. Likewise, I worked with Democratic Senator Chris Dodd for many years, and he became a good friend. I mentioned Democratic Senator Patrick Lahey earlier; we were very dear friends from the time we were junior members of the agriculture committee, he on the Democratic side, and me on the Republican far end of the table. So putting aside trust in the language of the bill itself, there was a bipartisan trust in the integrity of the purpose and an understanding of the idealism from which it came. It had come from our own experiences either travelling abroad together or having discussions in the course of very comprehensive hearings.